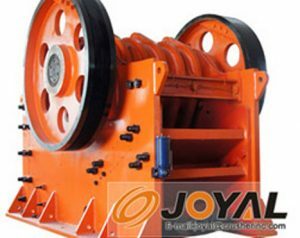 The focus of the maintenance of the ore crusher is the maintenance of the oil crusher lubricants, the correct addition of the ore crusher’s lubricating oil can reduce the wear of the ore crusher, and the above is said that the ore crusher Lubricant sticky problem, here to continue to give you next. Slowly into the winter, the weather is getting cold, the temperature is getting lower and lower, ordinary lubricants will become thicker as the temperature becomes thicker. General such problems, the need for users to hammer crusher bearing box of lubricants more for antifreeze lubricants. Ore crusher lubricants used after a period of time will precipitate some dirt, these dirt will directly lead to thickening of lubricants, which is the main problem of oil crusher lubricants problems. The user needs to pour out the dirty oil crusher oil, the bearing box clean and then injected into the new lubricants, and finally remember to seal the bearing box.